Alejandro Portes is Howard Harrison and Gabrielle Snyder Beck Professor of Sociology and director of the Center for Migration and Development at Princeton University. His current research is on the adaptation process of the immigrant second generation and the rise of transnational immigrant communities in the United States. One of his most recent books, co-authored with Rubén G. Rumbaut, is Legacies: The Story of the Immigrant Second Generation and Ethnicities: Children of Immigrants in America (California 2001), winner of the 2002 Distinguished Scholarship Award from the American Sociological Association. Josh DeWind has directed the Migration Program of the Social Science Research Council since 1994. From 1989 to 2002 was a Professor of Anthropology at Hunter College, City University of New York, where he initiated the college's Program on International Human Rights and directed its Latin American and Caribbean Studies Program. 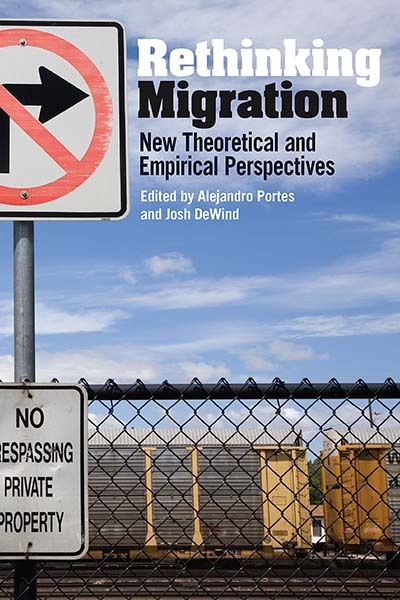 He has published numerous books, reports, and articles related to migration including The Handbook of International Migration: The American Experience, edited with Charles Hirschman and Philip Kasinitz (Russell Sage Foundation, 1999), which this current volume updates and provides an international perspective. He was a founding member of the Center for Immigrants Rights, National Coalition for Haitian Rights, and National Immigration Forum. Chapter 11. Does the ‘New’ Immigration Require a ‘New’ Theory of Intergenerational Integration?